FLAVORS Sweet &amp; Satisfying. Extra-buttery &amp; Bold. 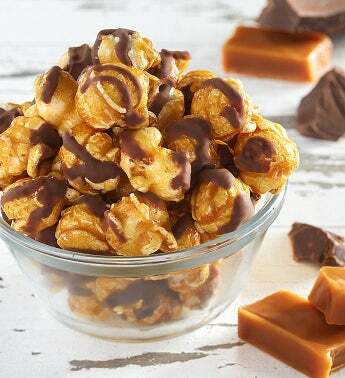 Try our latest chef-inspired popcorn creations — deliciously seasoned and drizzled to perfection. Decorative resealable canisters let you sample them all. Send one as a gift, add one to your order, or better yet, gift one to yourself. But some are only available for the season, so find your new favorites now.